Chic Italian fashion label Emporio Armani opt for minimalist, modern style with this stainless steel and black men's watch. Featuring a sleek black leather strap and simple dial, the signature Armani eagle logo gives this timepiece an understated finishing touch. 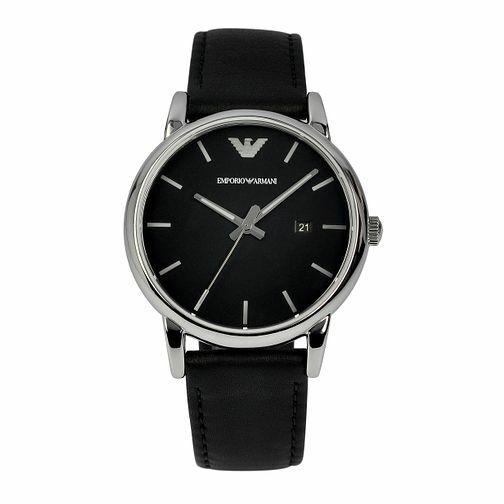 Emporio Armani Men's Stainless Steel & Black Strap Watch is rated 5.0 out of 5 by 3.